With the online world changing a mile a minute, keeping up with evolving technologies comes as a real challenge. 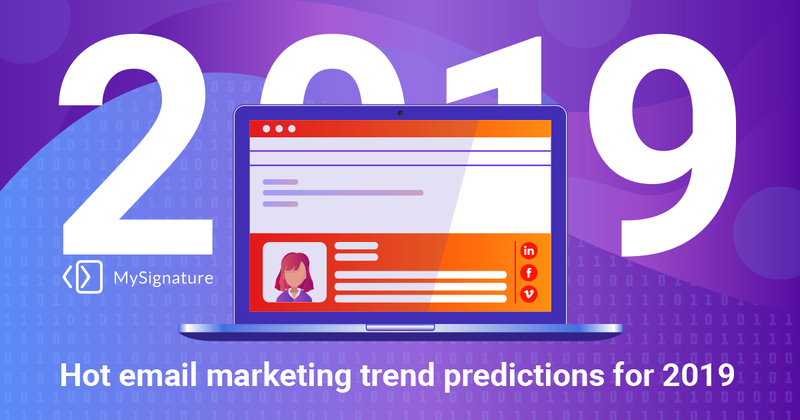 The 2019 year is just days away, so it’s high time to look ahead and figure out what’s going to happen with email marketing that soon. The more you know about emerging trends, the easier it is to plan your strategy and predict possible outcomes. In view of this, I’m going to describe 5 directions in which you can move to stay fresh in the tricky email marketing industry. Personalization has been in trends all the time. Nothing is going to change in 2019 as well. It is a good way to provide a background for friendly communication and smoothly move a user to the desired action. 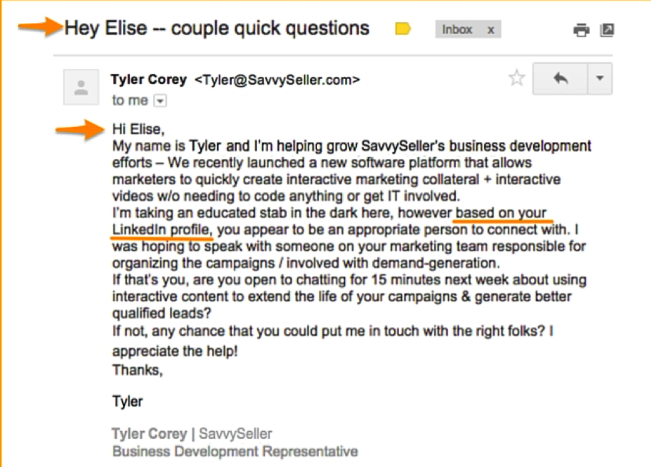 Keep in mind that personalization in your emails shouldn’t be complicated. Many marketers think that putting the user’s name at the beginning of the email suffices. Surely, it shows that you know whom you address, but that’s it. Many platforms are programmed to place corresponding names into emails. What if you place a name somewhere in the middle of your content? This will create an impression that you speak to the user directly and do not take an eye off the ball. Because indicating names at the beginning and when finishing an email has really become a tired idea. One more recommendation here. If you’ve already engaged with the user, why not move forward? Create and send them emails on their birthday. Or you can congratulate them on using your service for a year and offer a discount on that occasion. This will bring higher CTRs, you’ll see. High-quality automation delivers good results. 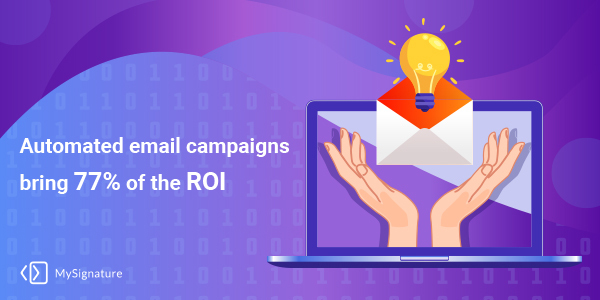 Litmus has proved that targeted emails have 108.5% more chances to make a half of the company email marketing profit from automation as compared to any other types of emails. The belief that automation makes personalization impossible is not true. Well-prepared and planned automated emails may also sound “human”, but you need time to create such emails, carry out tests and, eventually, estimate performance. For example, you can enable subscribers to select the type of content they receive. Users get what they want, you get higher email engagement and profits. The Direct Marketing Association reported that such email campaigns bring 77% of the ROI. So, the importance of automation is quite apparent. It doesn’t matter what your product is, which tools you use to promote it and how you sell it, if you do not think about ALL your users. Here I mean that in most cases you plan your email marketing strategy thinking that all your emails will be opened and read on computers or laptops. Wait a minute. Do you have an email app on your smartphone or tablet? I’ll bet anything you read almost all your email correspondence on your mobile device. That’s the truth of modern life. 53% of all emails are opened through mobile. It’s time to think about optimization. Here you can read in detail how to create shorter and more simple emails so that they look good on the smartphone screens. Today artificial intelligence can help in any sphere. Email marketing is not an exception. With AI, your strategy can become stronger and more effective. 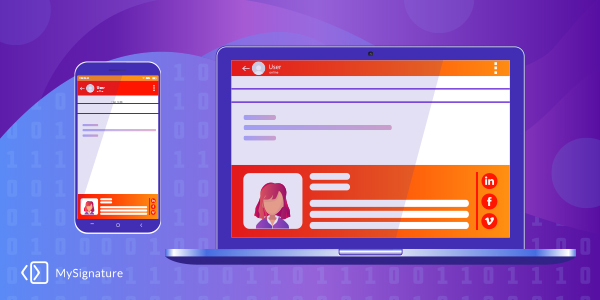 AI aims to save you lots of time by creating high-converting email subjects, selecting images, helping to predict the possible reaction of the user to your email and estimating when and why a user may unsubscribe. Sounds fantastic? That’s true. It is estimated that by 2025 the global AI-driven email marketing would account for 2.7 billion of dollars. Just a few years away, right? There are three ways in which artificial intelligence can be helpful in email marketing. First of all, it enables you to see what type of content works better. It changes the way you carry out A/B testing by introducing more elements that must be placed under the test. Secondly, AI is able to determine the ideal time and frequency of sending emails. And finally, AI tools help you make up more relevant offers and promotions because such programs are taught to analyze user purchases and make decisions based on this data. Personal privacy has become something that really matters in the digital world. It’s no surprise that everyone wishes to keep personal information highly protected and inaccessible to third parties. You may think that this is not a trend of email marketing for 2019. Yes, you’re right. That’s a trend not only for 2019 but for many years ahead. 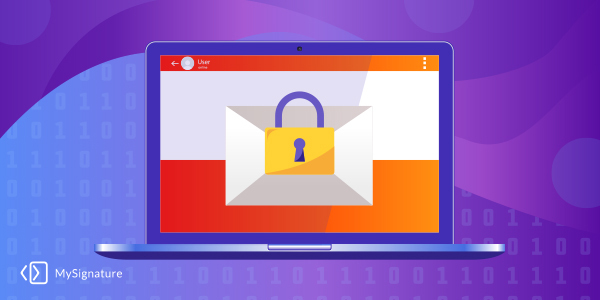 Users tend to keep a wary eye on their data and are becoming more aggressive towards those who disrespectfully treat their privacy. In email marketing, it is especially important because you should be even more careful when addressing your subscribers and requesting them to provide you with additional information.